I missed the Mars opposition since I was in Japan. So I spent the time for observing the Mars & the Saturn last night. I think 90FL BINO has been since the last year’s total eclipse. I noticed the Saturn was nicely tilt to see the surface details now. 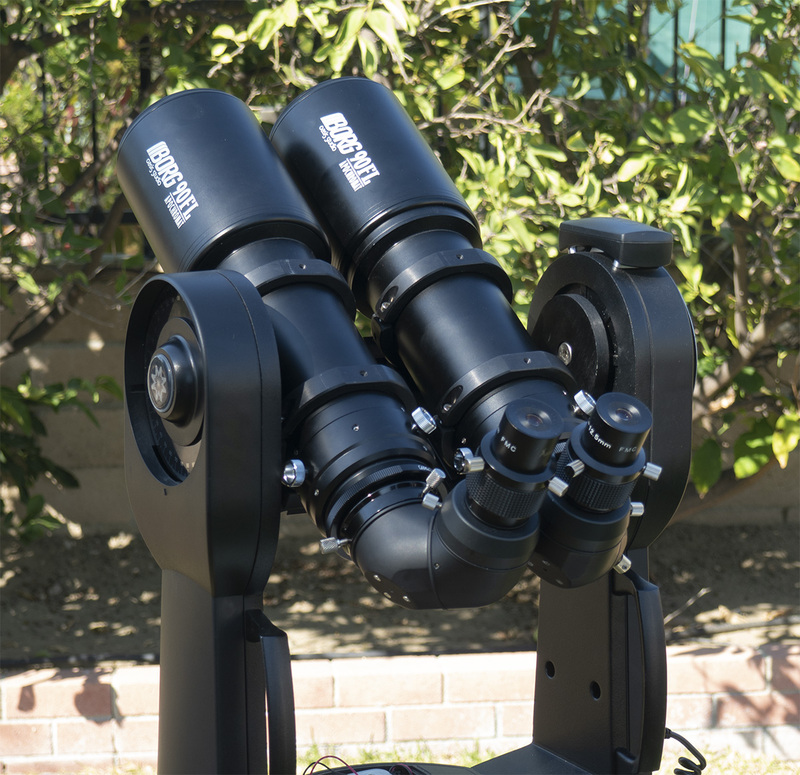 It was very clean and surface details through 90FL bino with Vixen HF 2.5mm eyepieces. Mars was a bit too bright. I felt the less brightness allows to see more details. Anyway, I had wonderful time for planet observing. IC1805 & 1848 are basically the autumn targets. I tried to shoot at my backyard until the moon was coming up. The time given to me was very short and targets were still too low though. The above frames were taken just above the neighbor’s roof. I thought 200mm f.l. 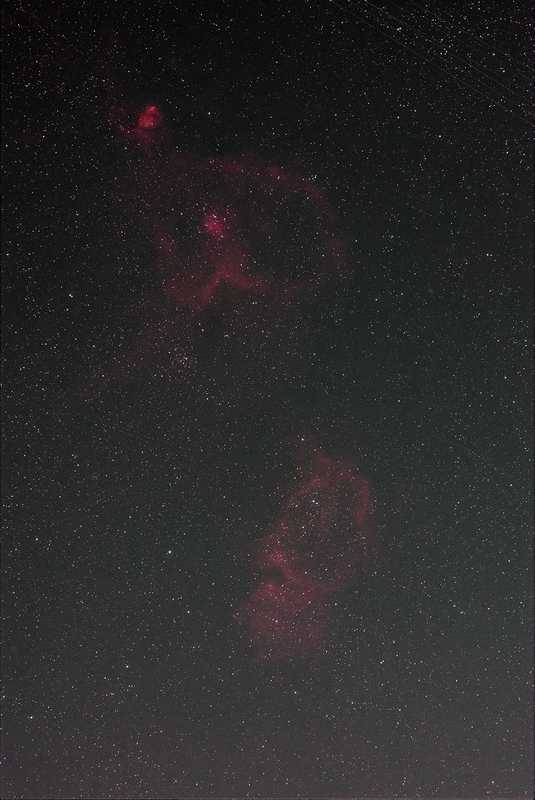 was good length covering both nebulae with APS-C sensor. Yes, as expected, it was perfect. Again Fuji’s X-mount camera is very enjoyable for astronomy too. Only one wish is more liveview magnification. Anyway I plan to use it under the dark sky soon. ~ by tedishikawa on August 4, 2018.